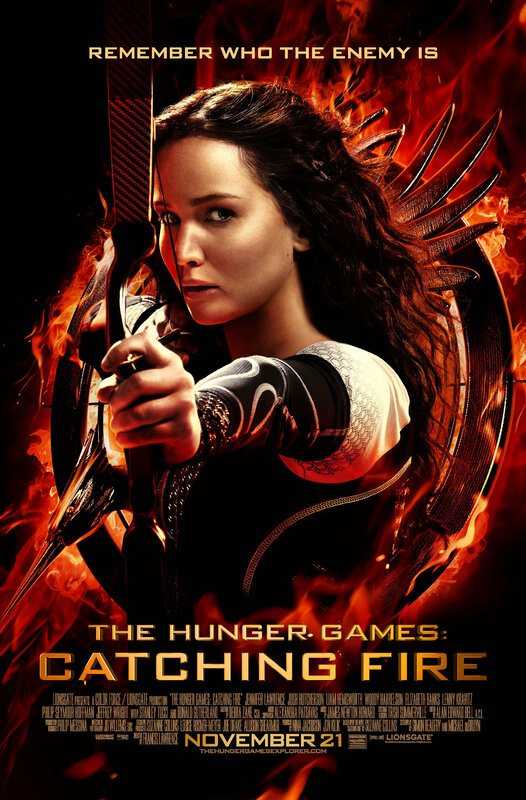 The Hunger Games franchise has come at a time that is almost certain to gather box-office success. After Harry Potter finished two years ago and The Twilight Saga bowed out just 12 months ago, teenagers and young adults have been craving for a new series of blockbusters to ‘sink their teeth into’. The first film of this new dawn, based on Suzanne Collins’ successful book, was released in March last year and greeted with warm reviews and a staggering box-office performance, a gross just shy of $700m to be a little more precise. However, rumoured tensions between director Gary Ross and studio Color Force meant that despite its impressive takings, he was not to helm its sequel, Catching Fire. Taking over from him is Francis Lawrence, director of I am Legend, Constantine and Water for Elephants, but can he better what preceded him? The series centres around an annual ‘games’, in which people aged between 12 and 18 must fight to the death in a custom made arena, leaving only one victor, who is showered with riches for the rest of their lives. Jennifer Lawrence, returning to the series after her first Oscar win this year, plays Katniss Everdeen, a plucky young teen who fresh from winning the previous Hunger Games tournament alongside her beau Peeta Mellark, played by Josh Hutcherson, must travel through the land of Panem (a post-apocalyptic America) to spread their story and persuade others to take part in the vicious tournament. However, after angering the Capitol, run by cold-hearted President Snow (Donald Sutherland) who becomes increasingly concerned that an up-rising is brewing, it is decided that previous victors must once again take part, to show that even they are not above the law. For those fresh to the series, I warn you not to watch this film without seeing the first, as much of the plot will be near incomprehensible and your enjoyment will suffer as a result. The film starts slowly, giving enough backstory before the inevitable return to the arena. Thankfully despite its large running time of 146 minutes, it never falters and after allowing the audience to see how the world has changed, it is back into the new and improved arena for the 75th Hunger Games. Gone is the shaky handy-cam of director Gary Ross, and in its place we are treated to sweeping shots of numerous landscapes; from the coal-mining community of District 12, to the bright lights of the Capitol and even the large arena which has been given a radical overhaul to make it even more challenging than ever. The acting is simply sublime by all accounts. Jennifer Lawrence, fresh from the honour of an Oscar plays Katniss with such a subtle grace that she is mesmerising to watch, a real treat for fans of J-Law and of course Suzanne Collins’ character. Liam Hemsworth returns to the series as Katniss’ secret love interest Gale, but he is sorely underused. Josh Hutcherson’s Peeta Mellark is as irritating as ever and lacks a backbone, but this is more to do with the script than Hutcherson’s abilities as an actor. Woody Harrelson, Elizabeth Banks, Stanley Tucci also return, with the latter being a real stand-out in a film which is filled with quirky and unusual characters. Those of you who have read my review of the previous film will know that I wasn’t a fan of its lacklustre special effects. Thankfully my prayers were answered and due to a budget that has almost doubled, the effects are glorious. The Capitol is perhaps the best use of the CGI, where the first film looked like a Star Wars: Episode I rip-off, here we really feel like the city is living and breathing for the very first time. Unfortunately, it seems like the special effects team are still struggling with CGI fire as the computer generated flames are still laughable in their realism. At 146 minutes, Catching Fire was always going to numb your backside, but you don’t care, the film is an absolute treat to watch. Director Francis Lawrence has retained the violent nature of the series despite its ridiculous 12A certification and manages to get around those limitations with style and flair. Yes, if I was pushed I’d say it was a little over-long, the CGI flames still look ridiculous and the ending is far too abrupt, but if those are the only faults I can find in a film, then clearly it is more than worth the increasingly expensive price of a cinema admission ticket. Overall: A real treat for fans of the series, my film of 2013… so far! Good review Adam. The type of movie you can literally bring any type of person to, and they’ll most likely find a way to enjoy themselves. Whether it be through the story, acting, social commentary, action, or anything else. Thanks for your kind comments. It really was a roller-coaster ride, definitely a must watch! Great review, I’m really excited to see this film. Thanks for the comment, it’s definitely a must watch! Enjoy it!